Minister Zeev Elkin refers to Adam stabbing attack, blames Palestinian Authority of supporting and inciting terror. Jerusalem Affairs and Environmental Protection Minister Zeev Elkin (Likud) blamed the Palestinian Authority today for the stabbing attack in the village of Adam on Thursday in which Yotam Ovadia was murdered. "This was a serious attack stemming from Palestinian Authority incitement. It's impossible to ignore the responsibility of the Palestinian Authority for this attack. As long as money transfers to terrorists continue, as long as the atmosphere of incitement and the near-official support of the Palestinian Authority continues, this is the result," Elkin said. The Minister also referred to the Nationality Law: "This is an important law that's been needed for a long time. I'm proud to be one of its initiators together with Avi Dichter," he said. According to him, anger in Druze society has no connection to the Nationality Law: "The crisis with the Druze community stems from difficulties that the State really must solve," he says. "It has nothing to do with the Nationality Law. The State was established as the state of the Jewish people in the UN resolution, as enshrined in the Declaration of Independence. 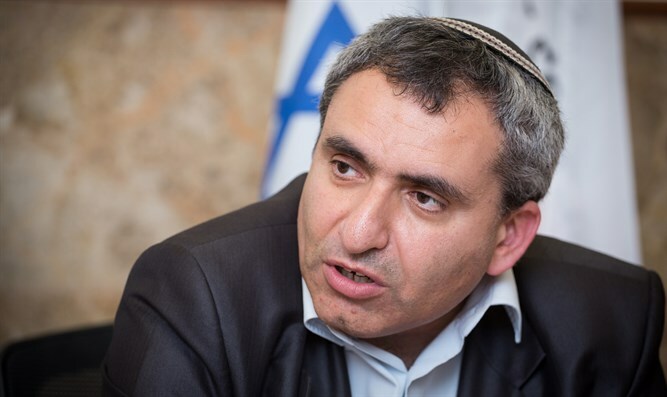 Individual rights were enshrined in special Basic Laws in the early 1990s, but it's only natural to anchor the parallel leg of our being the State of the Jewish people in Basic Law, and that's what the Nationality Law does," said Elkin.